This might be interesting especially for all the teachers here: Now you are able to buy additional copies of Building Instructions and User Guides–> for a really good price. No more need to use the copier before class! 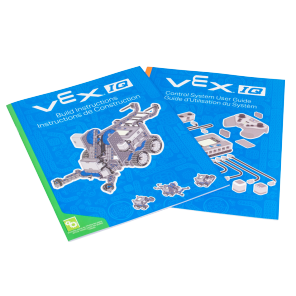 Dieser Eintrag wurde veröffentlicht in Education & Studies, General, VEX IQ und verschlagwortet mit Building Instructions, Buy, Indivdual Copies, Instructions, User Guide, VEX IQ von Sebastian Trella. Permanenter Link zum Eintrag.